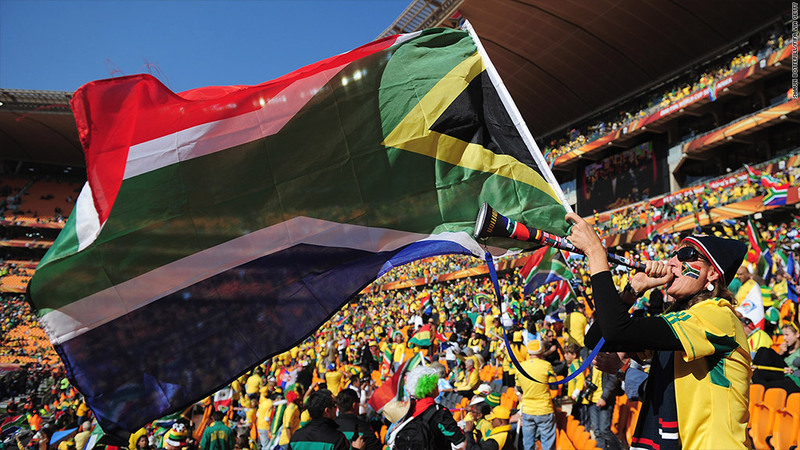 The World Cup 2010 brought South Africa a lot of pride and about 220,000 tourists, but that was below forecasts. The 2010 World Cup boosted tourism and national pride, but it's clear the economic benefits failed to live up to the hype and came at a very high price. Many now see Africa's first ever World Cup as a squandered opportunity. "There's certainly been a benefit -- but at what cost?" said Johan Fourie, an economics professor at Stellenbosch University in South Africa. It's notoriously difficult to determine just how beneficial major sporting events are on local economies, but one key ingredient is the ability to attract rich tourists from other countries. That's means the country spent a whopping $13,000 per visitor, the paper said. The researchers concluded that hosting mega sports events is a "potentially successful yet hugely expensive strategy to develop tourism in developing countries." "It's all because of the World Cup," said Fourie. "The World Cup is very good at creating a deadline for infrastructure spending that might have occurred but only in the medium to long term." "While some measures there were a success, South Africa doesn't seem to have leveraged the World Cup to the extent they could have," said Clark, who pointed to underutilized infrastructure like stadiums without anchor tenants. The pride factor: Despite the difficulty of translating major events into sustainable economic growth, countries continue to vie for the right to host spectacles like the World Cup and Olympics. That may be partially due to less visible benefits like generating national pride and improving a country's standing in the world. "I loved being there during the World Cup as South Africans came together and were proud. You could feel the excitement," said Mike Diamondis, who was born in South Africa and currently lives and works in Angola. And yet South Africa's economy has not been able to overcome its structural problems -- before or after the World Cup -- including income inequality that has triggered labor strikes in the country's big mining sector. While its stock market has nearly doubled since June 2010, South Africa's GDP has slowed and even slipped into negative territory during the first quarter of this year. The World Cup "created a wave and an opportunity for us to capitalize on," said Diamondis. "Over the years I believe we lost the momentum. We just went back to being a nation dealing with so many problems, and we haven't found solutions yet, even if the World Cup did bring some excitement." The World Cup itself largely went off without a hitch. All stadiums were completed on time, social unrest didn't disrupt any games, and there was no violence or terrorist attack that would have spooked potential investors and tourists watching on TV. While growth has slowed down, South Africa's economy isn't dealing with asset or credit bubbles that have followed similar mega events. "That was a real fear at the time," said Ludovic Subran, chief economist at Euler Hermes. The same can't be said for Brazil, which is grappling with spiking inflation and a possible real estate bubble. While the country is a hotbed for all things soccer, opposition to hosting the World Cup has mounted and organizers have been faced with riots amid the event's $14 billion price tag. "I think the risk of social unrest post-World Cup because of a lack of job creation and inflation are massive," said Subran.